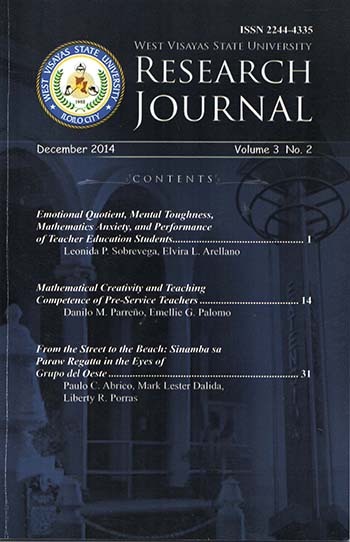 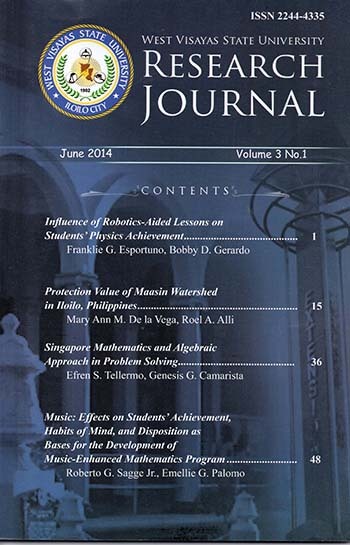 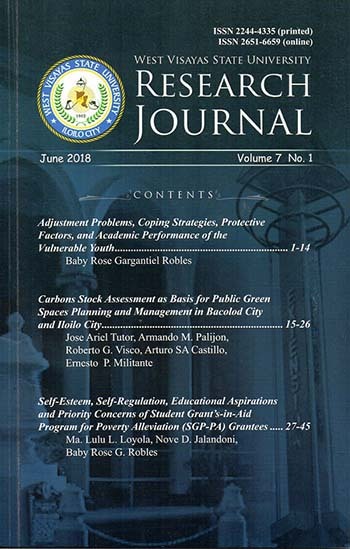 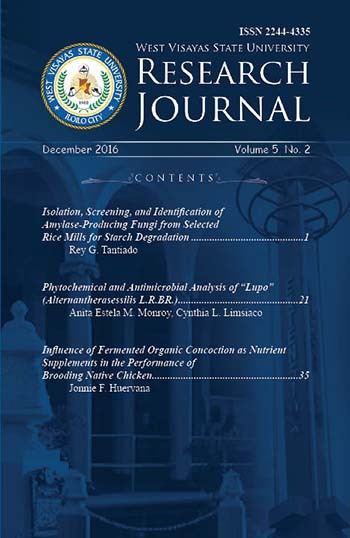 The WVSU Research Journal is a scientific publication of the University Research and Development Center (URDC), West Visayas State University, Iloilo City, Philippines devoted to the publication of original papers. It is a peer-reviewed semi-annual journal that publishes reports of original researches in the area of specialization in education, nursing, arts and sciences, agriculture, forestry, communication and hospitality services, technology and medical field. It is governed by an Editorial Board composed of senior faculty members from the different colleges of the university and who track record in research publication. 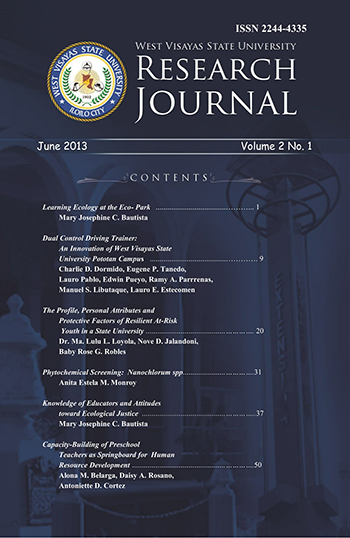 The Editorial Board also includes external members who have established expertise in research and publication.